Following a 25 basis points repo rate cut by the Reserve Bank of India (RBI) last week, State Bank of India (SBI) announced on Friday a 5 bps reduction in home loan rates for home loans up to ₹30 lakh. However, the bank has not revised the marginal cost of funds-based lending rate (MCLR). While this will benefit new borrowers, existing borrowers are still waiting for RBI’s rate cut transmission. Most banks typically charge a spread over MCLR, and the applicable rate of interest to a home loan borrower is MCLR plus the spread. According to a PTI report, SBI chairman Rajnish Kumar had on Friday said that reduction in deposit rates will be required to cut the overall lending rates under the MCLR system. 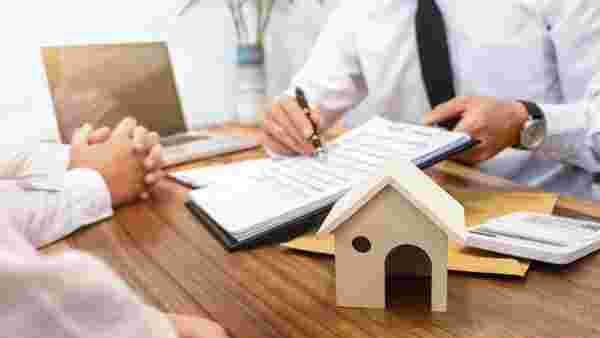 For effecting a rate cut in home loans, the bank will either have to decrease its one-year MCLR or go for a cut in its spread over MCLR for the product, he had said. As per the MCLR rates published on SBI website, one-year MCLR effective 10 February continues to be at 8.55% and has not been revised. In effect, SBI’s announcement of reducing home loan rates will be implemented by a reduction in spread on the loans, and not by a revision in MCLR, that too for home loans up to ₹30 lakh. So why haven’t MCLR rates been cut? The MCLR calculation takes into account the interest rate that the bank offers on its deposits. To reduce MCLR, banks first need to reduce the deposit rates. However, banks are currently reluctant or unable to reduce deposit rates as they need to gather more deposits to fund rising demand of credit. At present, the growth in deposits is around 9% while growth in credit is around 14%. Read more on this here. The home loan rate, according to your loan agreement with the bank, states the rate charged as MCLR plus spread. Accordingly, the spread, which ranges between 20 and 50 bps for SBI home loans up to ₹30 lakh, remains constant through the tenure of the loan. So existing borrowers will not see the benefit of the latest 5 bps cut in spread, and their home loans will continue at the present applicable rates. The benefit of the 5ps cut will only go to new borrowers taking a home loan of up to ₹30 lakh from SBI after 8 February. Those taking a home loan of above ₹30 lakh will continue to pay the existing rate of MCLR plus spread. Existing borrowers see a change in their interest rates only when the MCLR changes. Even after the change in MCLR, the change is reflected in your home loan rate from the reset date of your loan. Typically, home loan rates are reset every year and the existing MCLR at the time of your reset is used as the MCLR for your home loan for the next one year. Following SBI, other banks too could reduce interest rates on loans. Eventually, with RBI reducing rates further, banks could also cut deposit rates and hence MCLR-linked lending rates may also go down. So should you wait for your bank to reduce the rates and pass on the benefits or should you switch to another bank offering a lower rate? RBI had in December 2018 said that all new floating rate loans from April 2019 will have to be linked with an external benchmark. Though the final guidelines for the same have not come out yet, it is advisable to wait till April to see how the external benchmarking of loans firms up. “I do not suggest reading too much on a reduction of 5 bps. This should not make anyone think of switching their loan to another bank. Only if the difference in the existing and new rate is significant should a person do a cost benefit analysis to arrive at a conclusion of whether to switch their loan or not,” said Prakash Praharaj, founder Max Secure Financial Planners. Moreover, he said, many people having a home loan on the older base rate system have not switched to MCLR-linked loans because the switch is not easy, especially in banks like SBI where the rates are competitive. Do not decide on switching a home loan only for a 5 bps reduction in rate. The recent 25 bps cut by RBI is expected to be followed up with another rate cut in FY20 which could lead to sharper reduction in rates being offered by banks. Also, wait for more clarity on the external benchmarking of loans, which could make loan pricing more transparent.